We have seen already W7 running in many different UMPC, but most of them have been machines where I was not expecting many problems. That why I was very interested to see a friend of mine installing it in a U560. 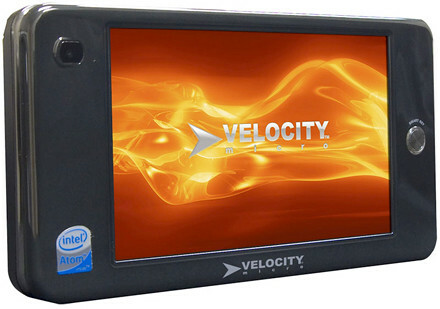 The Amtek U560 is an small UMPC using a Atom A100 at 600 MHz and with just 512 MB of RAM. And guess what… W7 passed that test! And here is the proof! W7 Experience Index was 1.2, to give you an idea, many of the UMPC in the market have an Vista experience index of 1. To save space in the W7 installation DVD Microsoft decided no to include the language packs (they were available in the Alpha release). For those like me that live in two worlds with two languages English and Spanish that is a major problem. Well, it’s not anymore. Our friend Angel García figured how to enable back the Spanish recognition in this thread at todoUMPC.com (SP). Why HTC and Google never enabled the multi-touch capability in their T-Mobile G1 is something that I can’t understand. I have read many comments at Mobilitysite in the past when I posted about this topic, many of them saying that so far there was not any proof that effectively showed that a G1 had that capability. Today I’m bringing a movie where you can see a G1 using that capability fully in all applications. The Open Source community is taking the Android and the G1 to levels that are far from what T-Mobile is giving to their customers and I've thinking lately about breaking with this company and go fully in my G1 with these Android versions which have nothing to envy to the OS in the iPhone. And you know who did say that? The guy behind Ubuntu, Mark Shuttleworth! "I've kicked the tires on the [Windows 7] beta for a few hours and it was good," Shuttleworth said. "They've put concerted attention on the user experience with the shell. "I think it's going to be a great product, and every indication is we will see it in the market sooner rather than later." I hope we get it sooner! I have been living with Vista for the last 2 years just because there is not better ink support out there than what you get when you are using Vista. At least that’s how I felt until I tested W7. I always have felt privileged because to me any device with a digitizer, no matter if it’s an active or passive one, it’s a more advanced device than those without them. And I’m really pleased to see that since XP Microsoft is pushing forward the Tablet PC concept even when they have taken new shapes and uses. The following video shows one of those little things that I love from W7. The use of the Search Field always have been a challenge in a Tablet PC because until now it did not allow you to start searching before you ended writing what you wanted to look for. And now with W7 you can. I hope I get right this time. 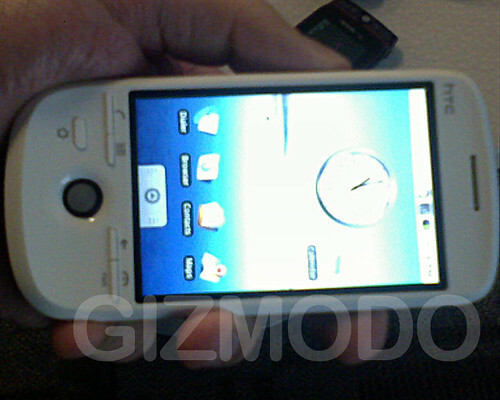 Apparently Gizmodo has posted the first pictures of the G1 successor: the T-Mobile G2, also made by HTC. I don’t have anything to say but what is wrong with HTC? did they lay off all the designers?! I just added the Obama’s Inauguration Speech to my site in PDF Format and MobilePocket format (PRC) for those who wants to read it again. I believe that this year we are going to see a shift in the current netbook design to a convertible type of netbook. The reason why I think so is because I see that with the integration of touch support in Vista and W7 more and more companies are releasing devices with Touch screens. 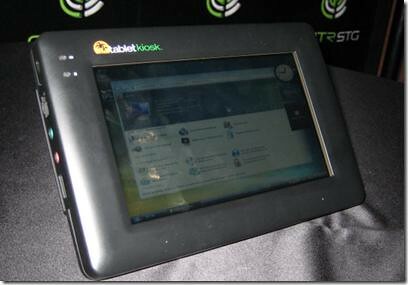 We have seen even users that after they have bought a Asus Eee the first hardware hack they do is to add a touch screen. And Asus is a company that apparently listens to what users want to see and a proof of that are the recently announced Eee PC T91 and T101H. Here is video demo of these devices. Original UMPC sale at Alibaba, possible Fraud!? Today I found at Pocketables about the reappearing of a concept UMPC shown about two years ago. Apparently there is a company in Honk Kong that is selling it now. I work in my spare time as sales consultant for todoUMPC.com so I thought that this probably could be a good business opportunity so I contacted them looking for more information. No information about the device and asking for private information about myself. Looks to me like the beginning of a new… scam. Internet is an addiction. How do I know that? Easy, if you are thinking about diving and browsing the web then you are an addicted. What? Do you think that that’s impossible? 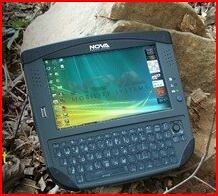 Check this pictures of a Toshiba’s MID Prototype posted at UMPC Buzz. Androidguys has found a video of what seems to be the HTC Dream G2 with Android. Apparently it’s loaded with the cupcake version of Android because you can see a few very nice additions like video recording, Google tools, etc. The phone seems more responsive than the G1 and the design looks a lot better. 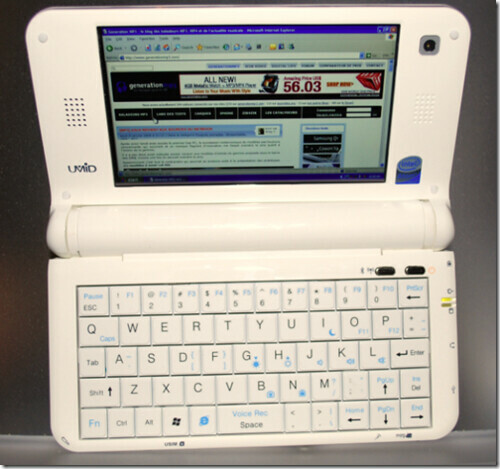 Lora at Technology Questions has posted a photo album of one of the most interesting Netbook designs shown in the past CES2009. Tim Sneath has published recently a very good article about tricks and secrets that you may want to know about Windows 7, the soon to be released – I hope – new Operating System from Microsoft. JKK has posted a video where he compares and tests W7 in a few different mobile pcs. His conclusions on it: W7 is a lot better than Vista when it’s used in these devices! That’s exactly my experience with W7, it’s so good that I’m counting the minutes to install the final release in my Fujitsu P1610. Recently Samsung discontinued the series Q1U and many saw that as a sign of the eminent dead of UMPC and them being replaced by cheaper netbook. 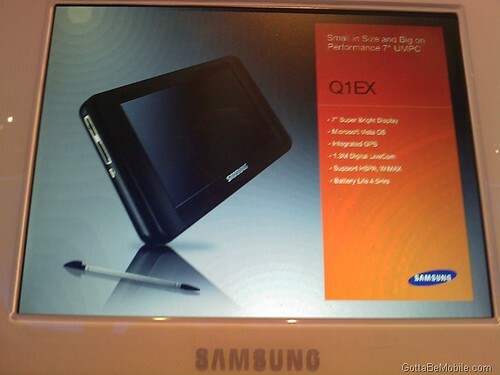 Well, they were wrong, Samsung has not abandoned the UMPC category and will release soon a new one: the Q1EX. According to this news posted today at Gottabemobile, TabletKiosk will start shipping a the TabletKiosk eo i7300 in April. The new redesigned UMPC is using an Atom processor running at 1.6 GHz and the batteries should last around 9 hours according to TabletKiosk. Another good point is that this will be the first UMPC with Active and Passive Digitizer. 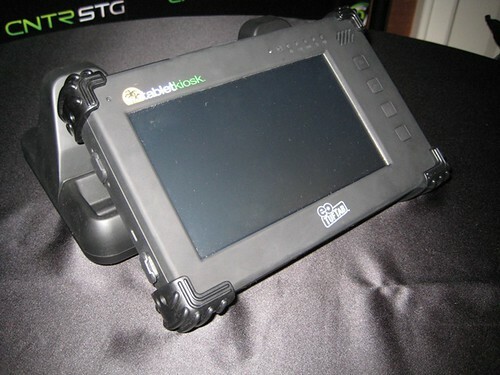 The Tuftab is a semi rugged UMPC made by TabletKiosk, leader in Tablet PC technology. Now the company has renewed this series using this time an Atom 1.6 GHz processor. TabletKiosk’s eo TufTab is undergoing a complete redesign: Intel Atom 1.6 ghz, 2gb ram, gps, dual hot-swappable batteries, pcmcia slot, GOBI. Shipping in May. 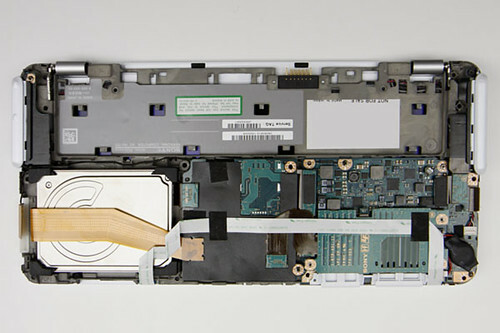 It have not passed 24 hours from the official release and we have already pictures of the VAIO P… naked! 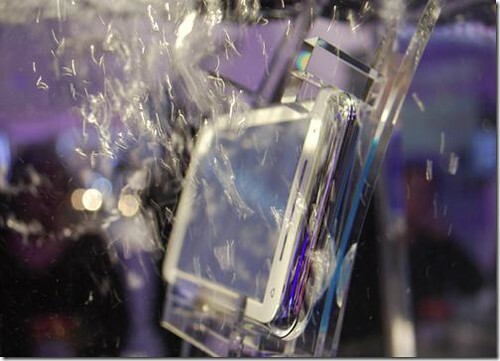 The Side Arm 2 UMPC is a rugged UMPC made by Nova Mobile and being shown at CES. There are only few details known about it, 7 inches display, 64 GB SSD, GPS and an Atom processor seems to be part of what is inside this device. Asus is demoing at CES2009 two new mini Tablet PCs with touch screen: the T91 and the T101. Paul Thurrott has posted at his blog a very nice article or note about what Microsoft calls Apple Tax. 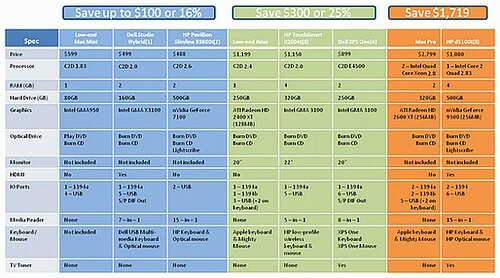 There are two tables created by Microsoft to illustrate the whole concept. After checking those tables the only thing that I can say is that with the same amount of money that you spend in a Mac, you buy a really powerful PC. Just in HDD you get twice the space for the same money. You get 30% of more RAM and in one case even a Blue-Ray Driver or a TV Tuner. I can't imagine the amount of good freeware that is around the web and that you don't know about it. This is the case of Photo! 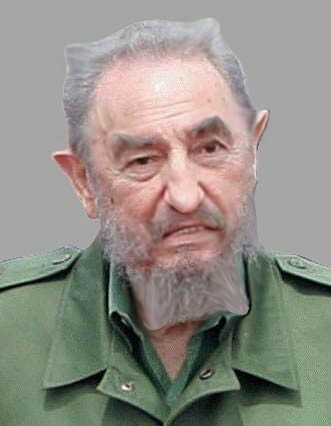 Editor, a program that allows you no only to take your pictures and make them perfect but to create some funny caricatures. For our Spanish speaking readers I prepared a video about this program that can be found here. Of course, using this program in a TabletPC or UMPC adds an extra fun to the whole creation process. According to this site in 2010 we could be seeing a Netbook running Android and to prove it they have installed it in an Asus Eee. ZDNet ran 23 tests in two machines with these 3 Operating Systems installed from 0. Who was the winner? XP? No way! It was Windows 7! And this result does not surprise me at all. Windows 7 is what Vista was supposed to be and I'm dying to see it released.